Tanea Moniquex | Celebrity Entertainment News, Fashion, Music and Advice: Snoop Dogg praises Iggy Azalea but throws shade at Drake and Future? 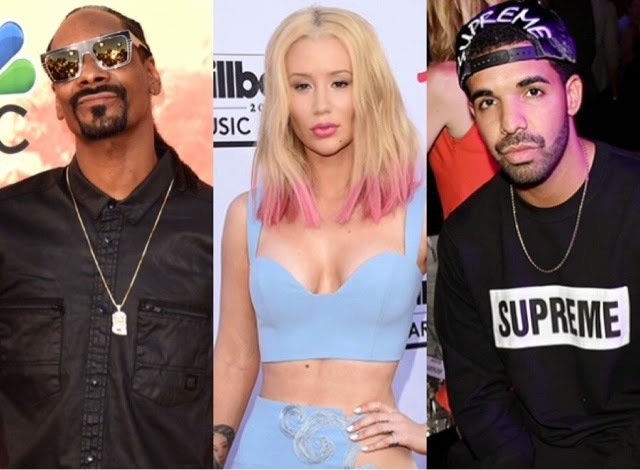 Snoop Dogg praises Iggy Azalea but throws shade at Drake and Future? “Rap is supposed to grow. One thing about Iggy and Macklemore: They got soul. They’re inspired by hip hop. I don’t care how you’re gonna take it to your people and flip it and dip it and serve it." Just last week the OG rapper was accused of throwing shade at Drake and Future, amongst other Hip Hop artist.